Clients needing an exceptional attorney at their service and on their side have found it in Raegan King. After graduating from Harvard Law School, Raegan M. King served as an associate attorney for the largest law firm in the U.S. Virgin Islands. She earned the respect of her colleagues and clients by representing diverse regional, national and international clients. Raegan’s vast array of cases honed her ability to put clients at ease while navigating them through difficult personal and business challenges and litigation. 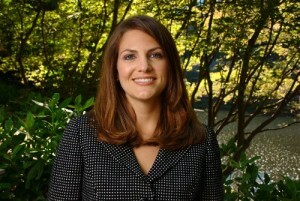 The Atlanta-based Law Office of Raegan M. King builds on this expertise by providing the winning combination of personalized service, tenacious case work and compelling negotiation skills for small business and personal litigation and disputes. Raegan is . . .
Client-focused. Raegan’s focus is protecting your assets whether it’s your future, small business, your children, or your financial means to support them that’s at stake. Innovative in her approach. Providing a fresh perspective and streamlined approach toward a resolution is the calling card of the Harvard Law School graduate. Personal service oriented. Bypass the mega-law firm quagmire and communicate directly and regularly to Raegan as she walks alongside you through the legal process. Caring, knowledgeable and shrewd. Getting to know you and your expectations helps Raegan plan a course of action to achieve her end goal: your satisfaction and protection. Realistic in her approach to managing your expectations. Clarity and a voice of reason are needed when emotions run high and there’s much at stake. Known for her proactive and honest communication. You never have to wonder about the status of your case. Expect a timely response (within 24 hours) to all calls and emails. Efficient in settling your case. It’s not about billable hours, it’s about achieving the most affordable and expedient path to settling your case. Flexible in payment structure offering flat fee plans, payment plans and price breaks for retained clients. Understanding financial limitations and budgets shouldn’t hinder you from getting legal assistance.